A lot of people who come to Chile only hit three spots: the Atacama desert in the North, Santiago de Chile in the centre and Patagonia in the South. Maybe they make a stop in the lake region around Villarica and Pucon, if they have the time, or they fly the four-plus hours to Easter Island. And don’t get me wrong, all those places are amazing and you should certainly go if you get the chance. 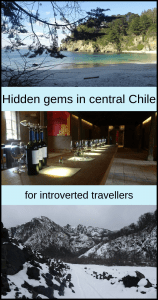 But central Chile also has a lot to offer, as I will prove to you now! 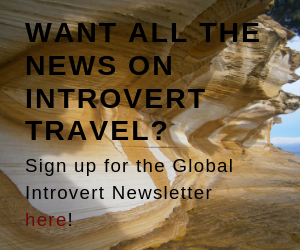 For introvert travellers especially, it can be worth seeking out a few of these lesser-known places, simply to get away from the crowds! Of course, I understand that not any visitor to Chile has the kind of time to really stop everywhere. But if you do travel the country and find yourself with a bit of spare time on your hands, build in one or the other of the places I’m going to tell you about. You won’t regret it! Any wine lovers out there? Then you should definitely consider a short stop in Santa Cruz. 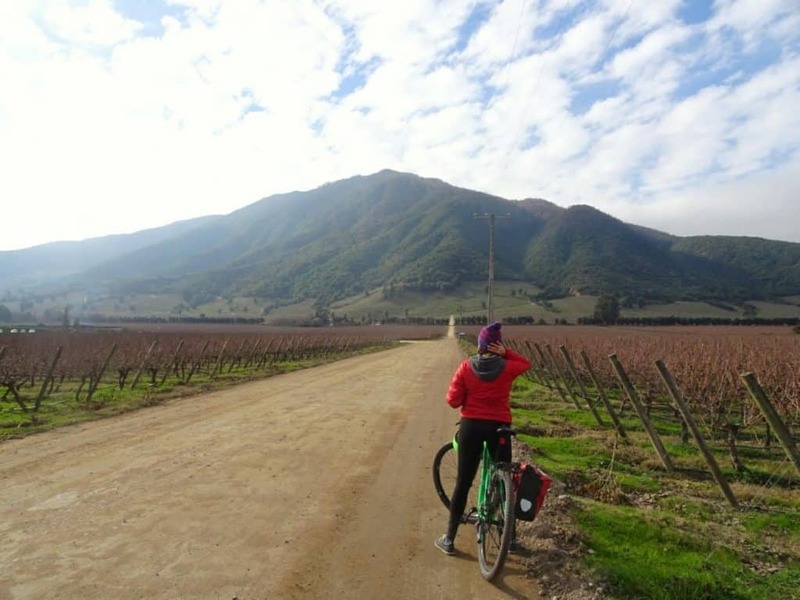 The tiny village lies at the heart of the Colchagua Valley, a renowned wine region about two hours South of Santiago. In fact, it’s so close to the capital that you can come here just for a day trip. However, I would recommend staying at least one or two nights in town to get the full experience. 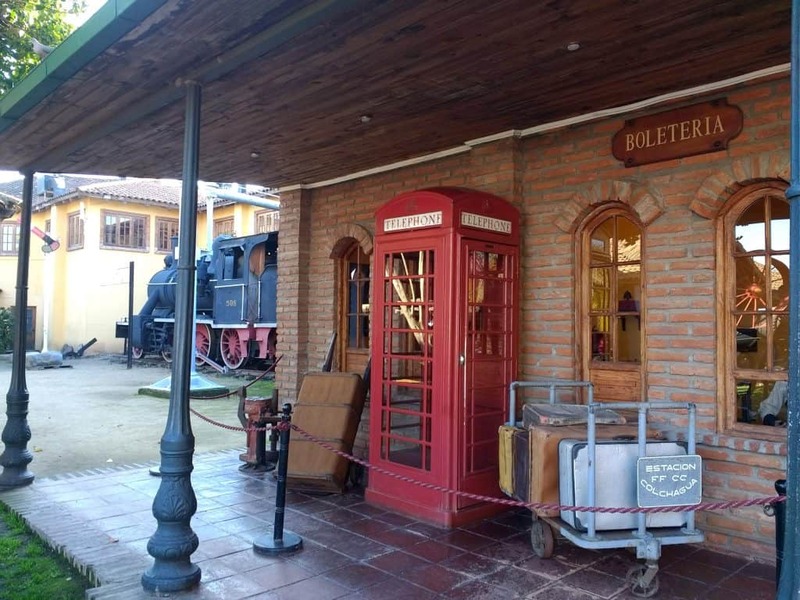 Santa Cruz itself is quite small and you won’t find too many attractions, with one exception: the surprisingly big and informative Colchagua Museum. It offers everything from fossils to information about the history of the region from pre-colonised times till today, to some special exhibitions on, for example, Darwin’s travels in South America or a recap of the mining drama that happened in 2010. I was staying in a small, but absolutely lovely hostel called Casa Suiza. It’s run by a young Swiss-Canadian couple. Because I visited in the middle of winter, read off-season, I had the shared 4-bed dorm all to myself for the five nights I spent there. One night, I was even the only person in the entire hostel. 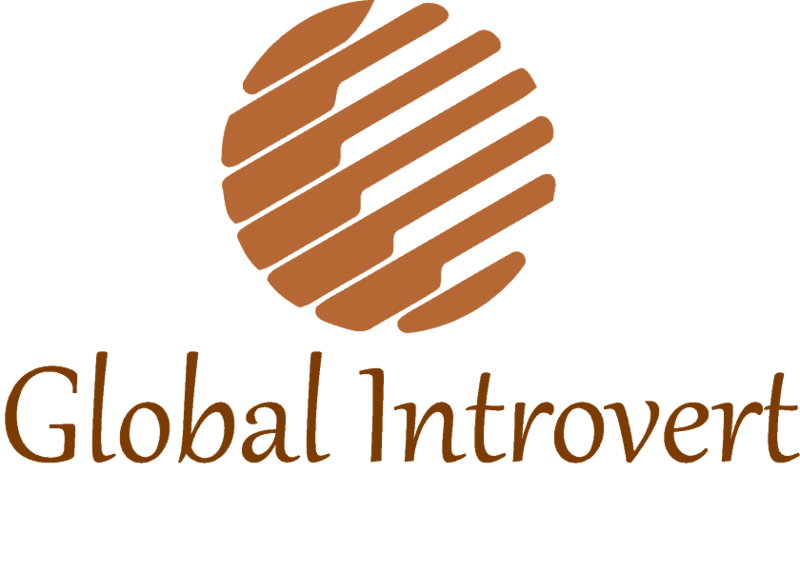 Introvert dream come true! I particularly loved the breakfast. It included some nice variety of bread rather than just the standard white. If I craved caffeine outside of breakfast hours, there was a great little coffee shop right around the corner. A private room for the price of a dorm, hearty breakfast and amazing coffee – what more do you need to be happy? 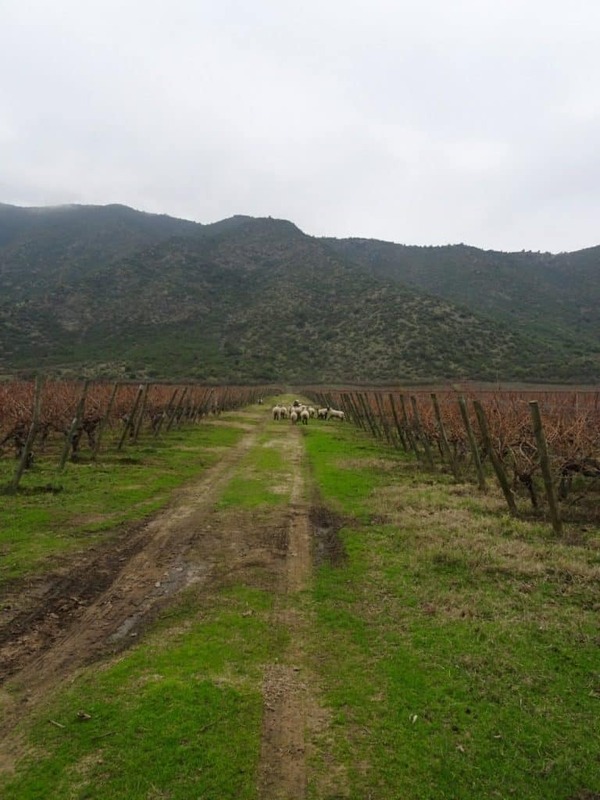 To make the deal even better, the Colchagua Valley offers plenty of delicious wine! After all, what else would you do in a wine region than visit wineries and taste your way through their offerings? 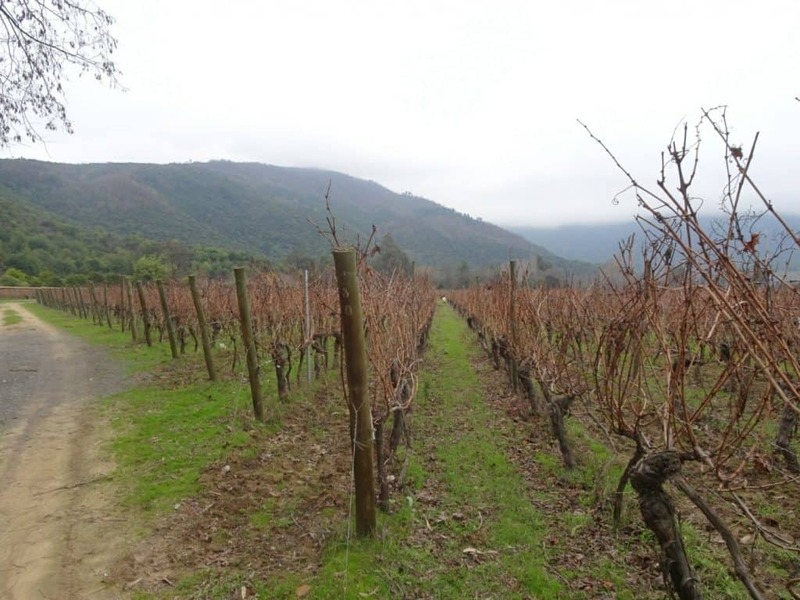 There is one winery very close to town that you can walk to. Other than that, the recommended way to visit is by bike. Now, I’m not hugely into cycling. In fact, I don’t even know why, but I just don’t get any enjoyment out of it. I’d rather spend one hour walking than five minutes on a bike. Still, I let myself be convinced to join the two American girls from my hostel for a bike tour to the wineries. I thought it would be more fun to do wine tastings together rather than on my own, despite the cycling. Turned out I was right! We rented bikes right from our hostel, took some sandwiches for lunch, and off we were. Three wineries were included in our route, with a tasting at each of them. I can’t say I loved the cycling part. But it didn’t bother me too much, either. 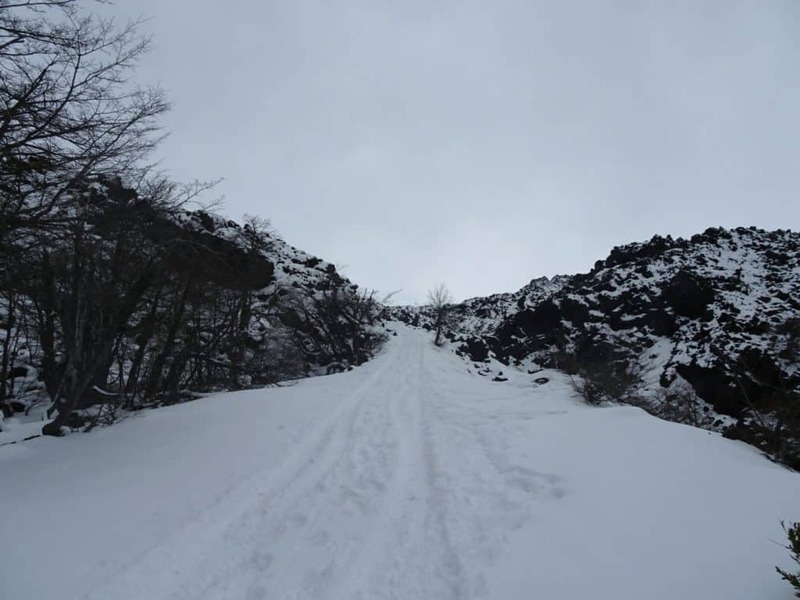 Luckily the roads were relatively easy and not too much uphill because then I don’t think I would have managed. That was my first time on a bike in about ten years, after all. As to the wineries, there are no two opinions about it. We got plenty of great wine, plus lots of information about what it was we were drinking. 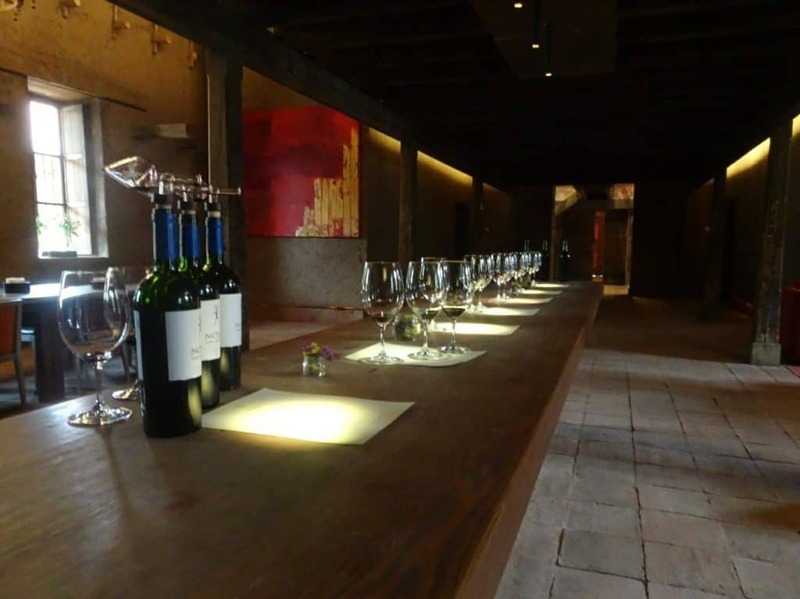 Especially at Las Niñas, the last winery we went to, we got the full tasting experience. The employee doing our tasting always insisted we first identify some ingredients ourselves, by smelling and tasting the wine. Only if we got at least some right, he would tell us more. None of us was an expert at this, so more often than not we just wildly guessed ingredients until we hit on a right one. A fun and informative experience! After all, I had some great days in Santa Cruz. Some of the time I spent alone in the quietude of my hostel, with good coffee and a book. Some I spent drinking wine with new-found friends. On each occasion, I enjoyed myself greatly! 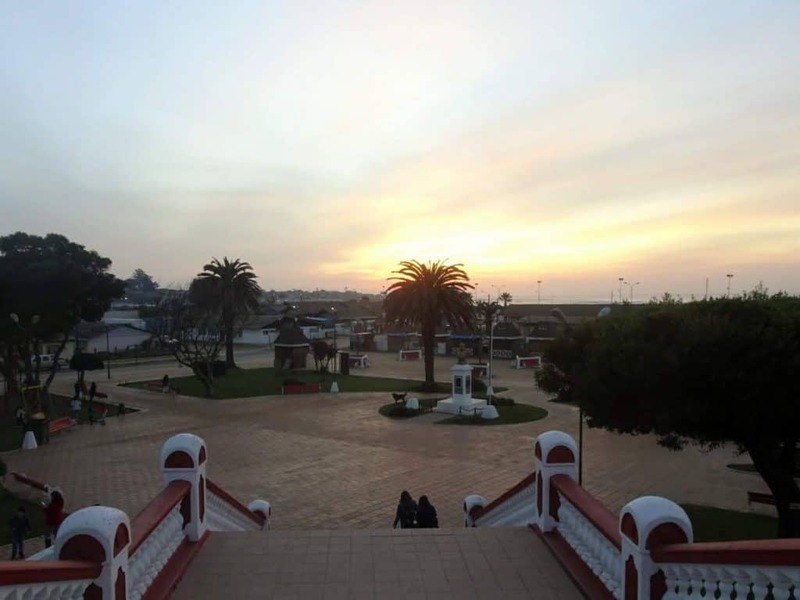 Pichilemu is a coastal town a couple of hours South of Santiago. 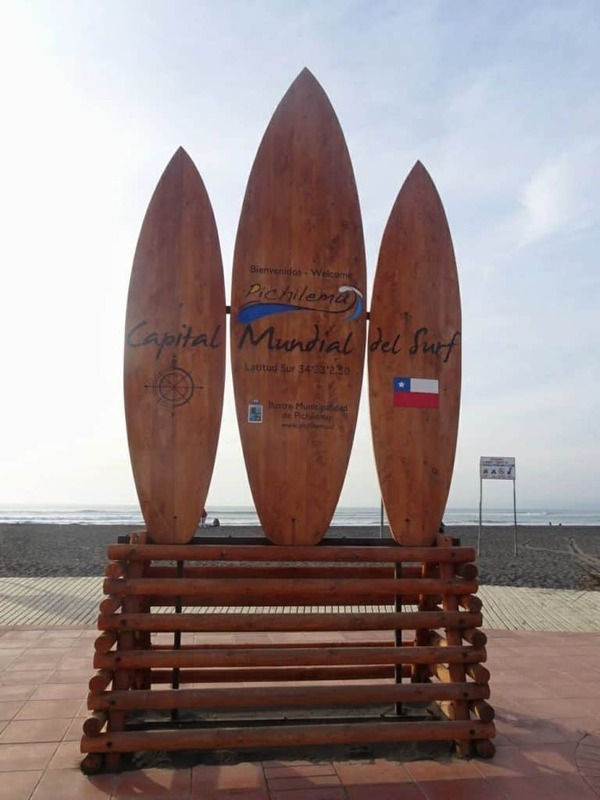 It is the surfer capital of Chile, although I passed on that activity during my visit. It was winter and freezing cold. I shivered just watching the few dedicated surfers, who had made it into the water despite the low temperatures. 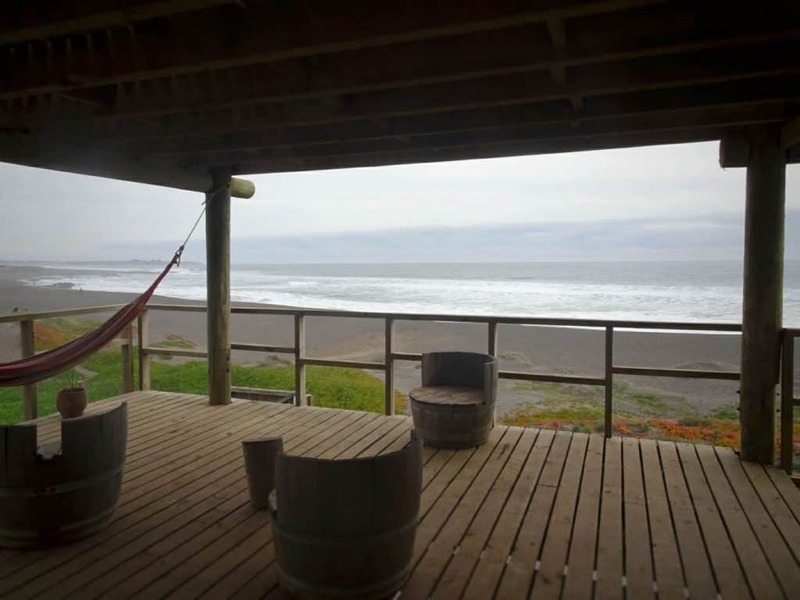 Even without surfing, Pichilemu is worth a visit. First of all, you don’t need to be a surfer to enjoy being at the beach. Granted, it might have been nice to be here in summer and be able to do some sunbathing. 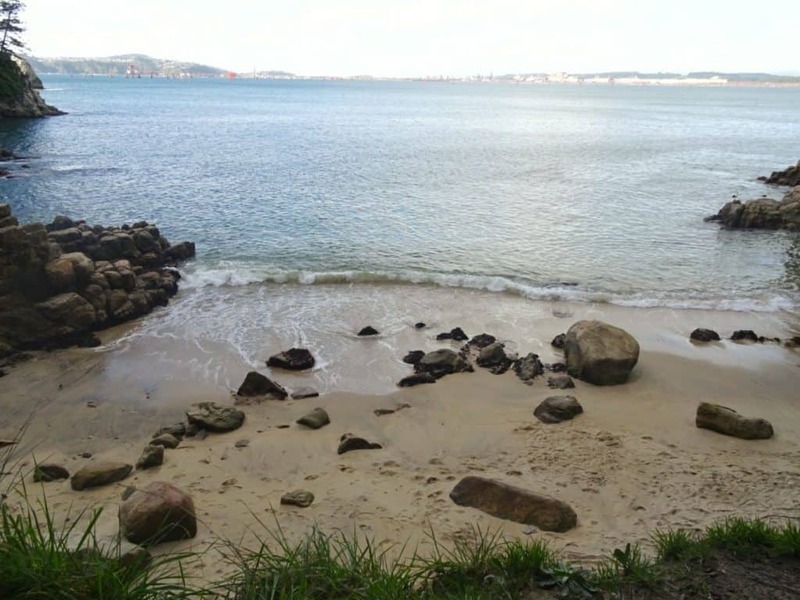 But even walking along on the sand in my warm clothes, or sitting on the veranda of my beachside hostel wearing all the jumpers I own while looking out for dolphins and seals, was enough for me. The best food I had in Chile! As a surfer town, the whole place has a bit of an alternative hippie vibe to it. That also showed itself in the food: Pichilemu has a lot of vegetarian and vegan restaurants. Now, I’m not a vegetarian myself, but that doesn’t mean I don’t enjoy a good meat-free meal when I can get it. Especially as those are often the only places in Chile where you actually get proper vegetables with your meal. 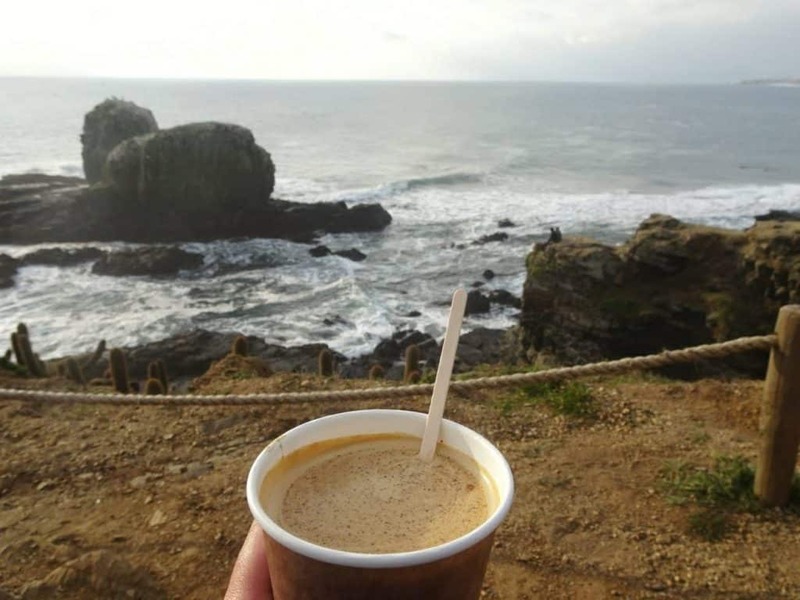 I had gotten to Pichilemu armed with a lot of restaurant recommendations from my hosts in Santa Cruz. 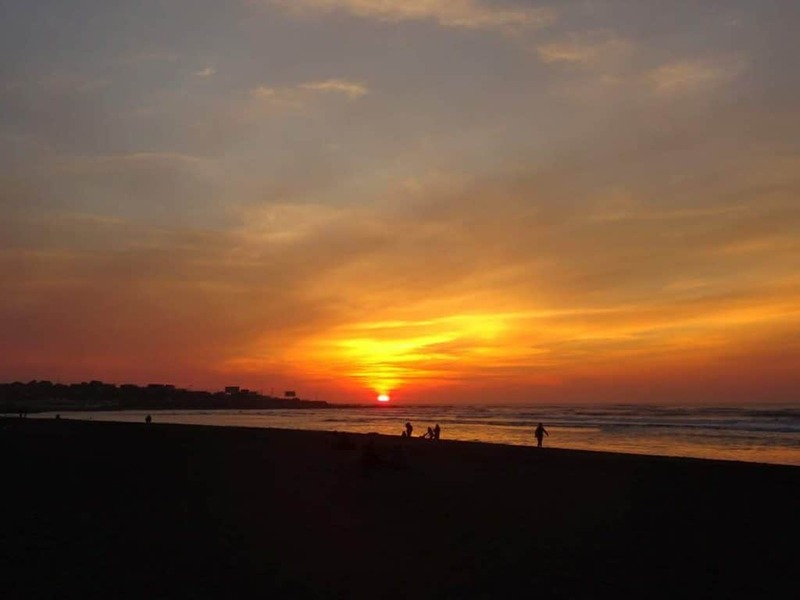 Whether it was delicious pizza at Pulpo Bar Restaurant, vegetarian Lebanese dishes at Cúrcuma or homemade fries at La Casa Verde, Pichilemu has it all. If you’re after great coffee, try the tiny little Cardumen café. You almost walk past them, they’re that small, but their coffee speaks for itself! 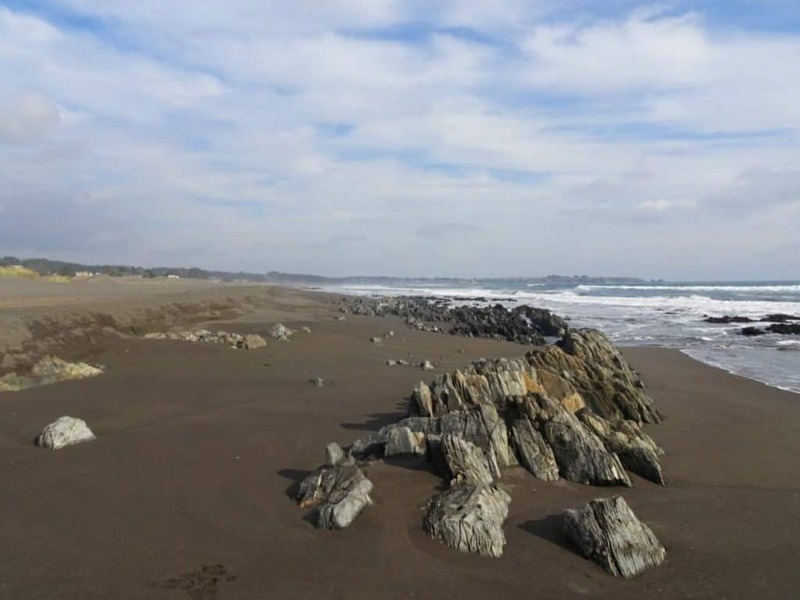 Basically, all I did in Pichilemu was eating and taking walks on the beach, for a whole week. I loved it. 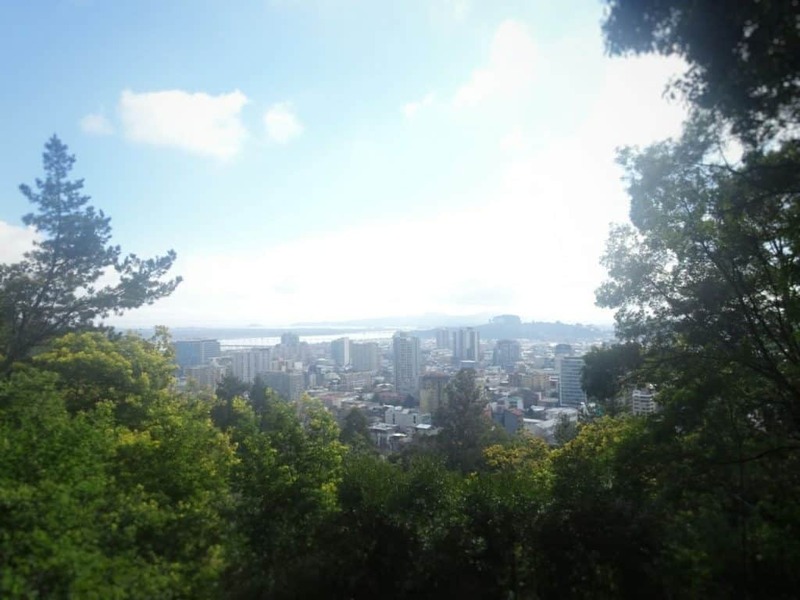 Travelling yet further South from Pichilemu or Santa Cruz, you eventually reach Chillán. While the town itself is rather unremarkable, that cannot be said for its surroundings. Most prominently, only a short bus ride away (well, relatively short for Chilean standards), you find the tiny town of Las Trancas, which opens into the Shangri La Valley. It’s a paradise for hikers. 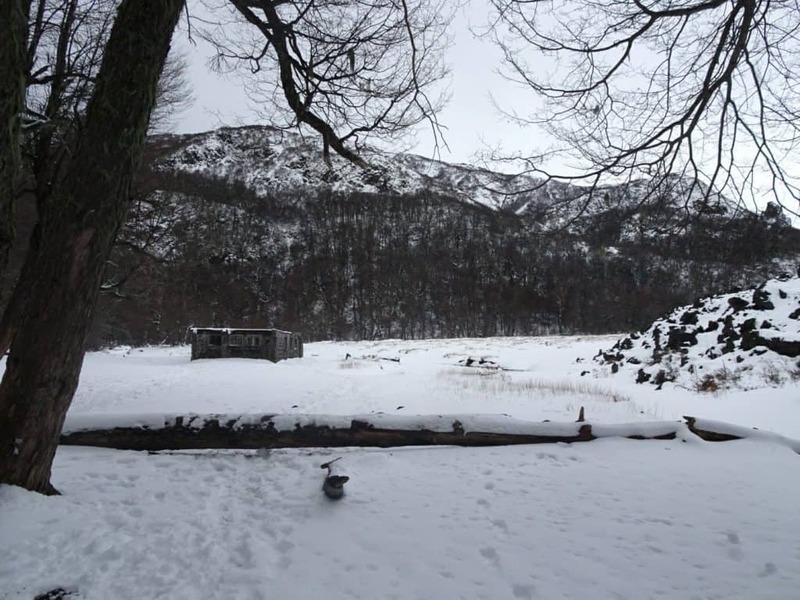 I came here for a day trip and it was my first deep-in-the-snow walk in this Chilean winter. Many more were to come, but nothing ever quite beats the magic of the season’s first snow. Am I right? 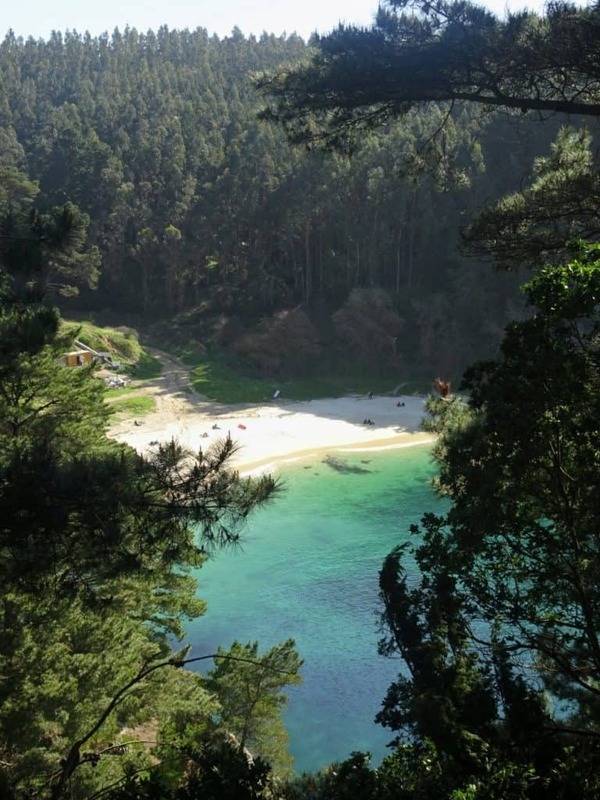 You can simply walk on from Las Trancas and explore Shangri La on your own. 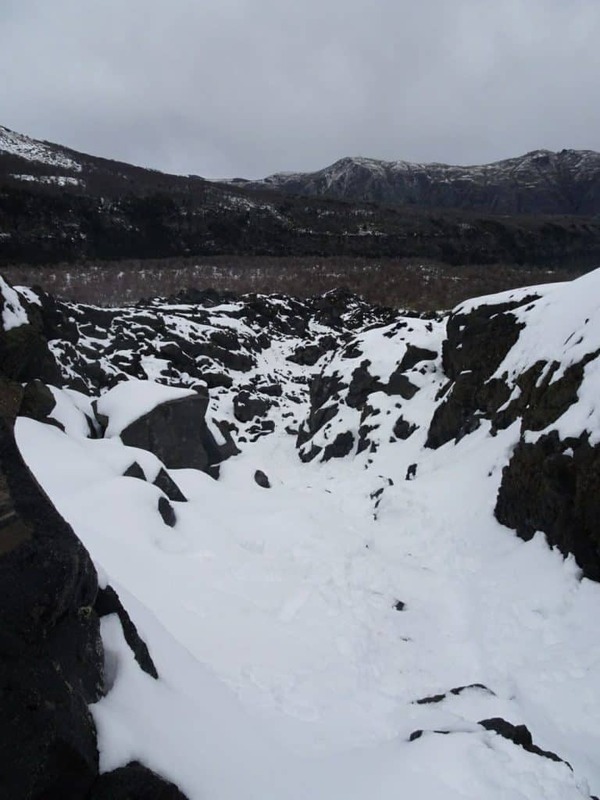 Or, you can do a guided walk with one of the tour companies around. I ended up doing both. First, I spent the morning enjoying some peace and quiet out in nature all by myself, then I did a guided walk in the afternoon with a guide from Ecoparque Shangri La. As there was no one else around at that precise time, it was just me and the guide. He took me to some lesser visited corners of the valley with beautiful views over the surrounding countryside. At our last stop, we even spotted a condor soaring through the air above us. Magical! 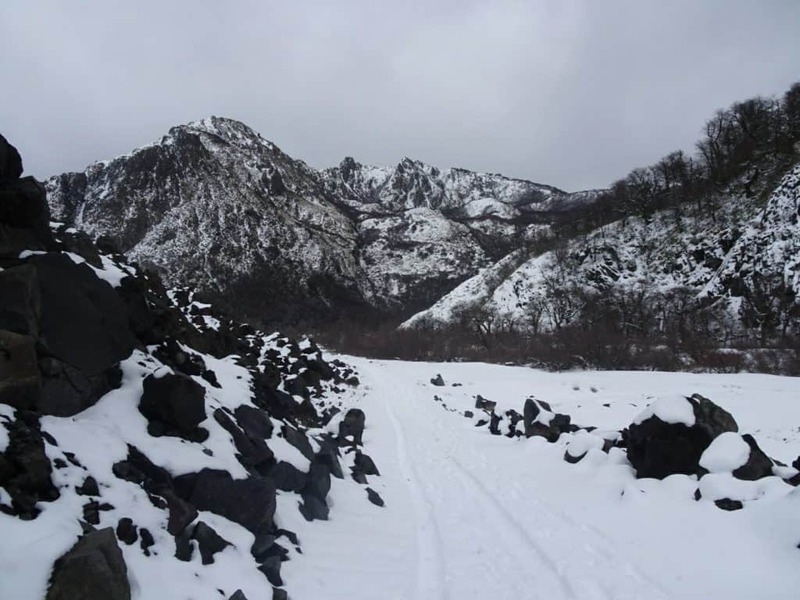 By the way, if you are here in winter, like me, there’s also a lot of skiing options, as well as hot springs not far from Las Trancas. I didn’t try either, but I heard some good things about it. 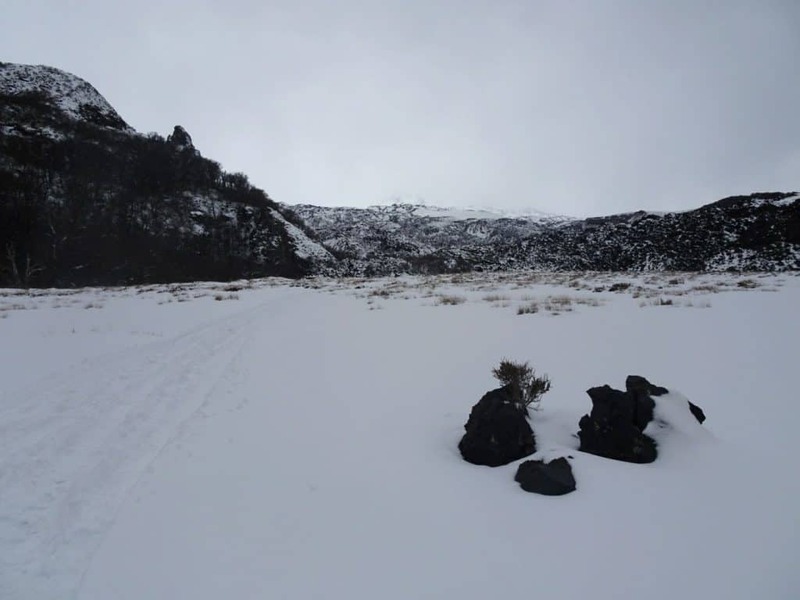 So why not stay a bit longer and treat yourself to a day out in the snow followed by a relaxing bath in a hot spring? 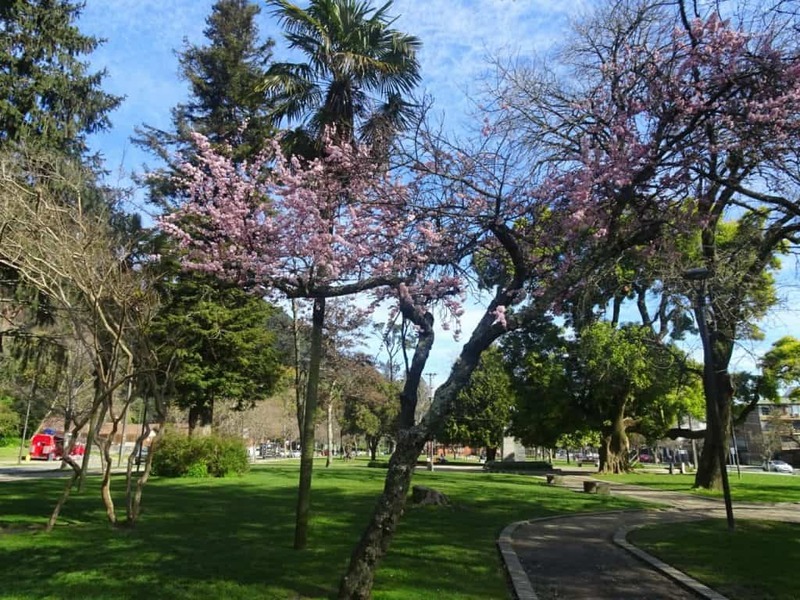 This can’t really be called a hidden gem, as Concepcion is the second biggest city in Chile. 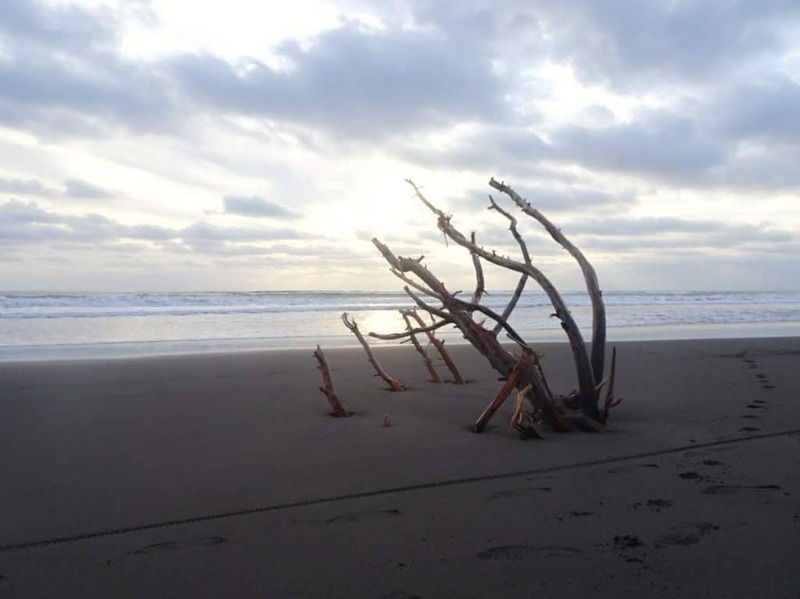 However, it still gets far fewer visitors than some other places in the country, despite having so much to offer. I really enjoyed the city itself. It’s a lot smaller than Santiago, but comes with every amenity you might wish for and not always get in smaller towns. 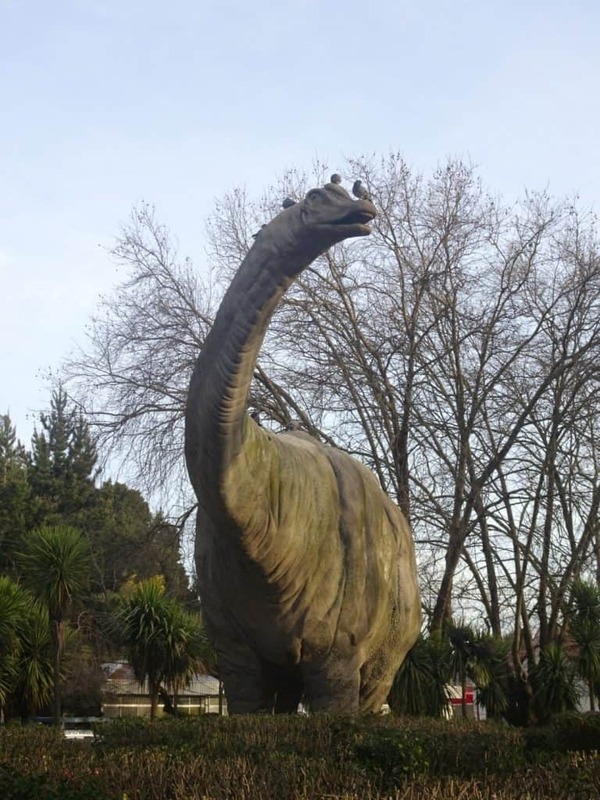 Among the most interesting places you can visit in Concepcion, are the National History Museum and the Plaza Jurásica in front of it, with its life-size dinosaur figures. Or take a little walk up Caracol Hill, to the Bismarck tower. The path starts at the beautiful Parque Ecuador and isn’t difficult or long. You get some nice views over Concepcion in the bargain. No better way to quickly escape the city for a little walk in the woods. If you need a bit more nature than you find on Cerro Caracol, you can try the Reserva Nacional Nonguén nearby. It’s a bit hard to reach on public transport, however, which is why I ended up not seeing it. Also, quite a few of its attractions seemed to be closed in winter. Still, I heard some good stuff about it. 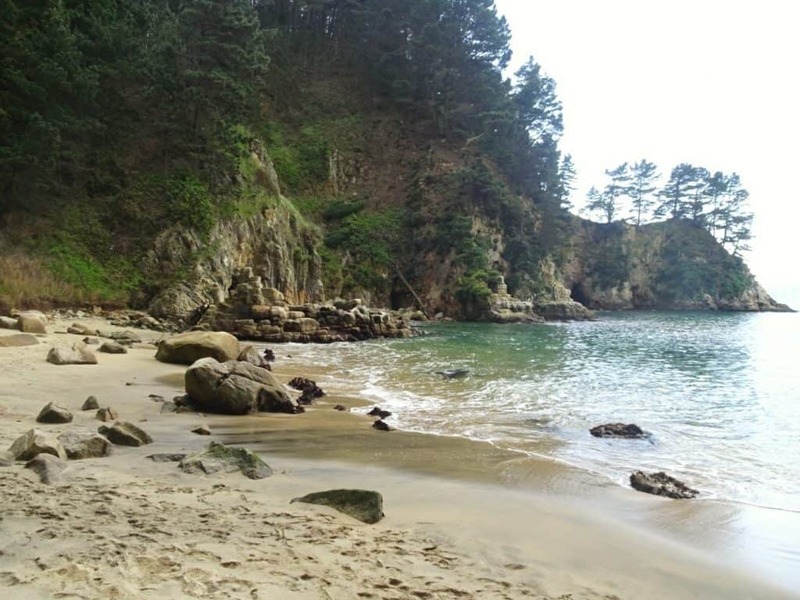 What I did get to do, and highly recommend, is a day trip to Lenga and Playa Ramuntcho. 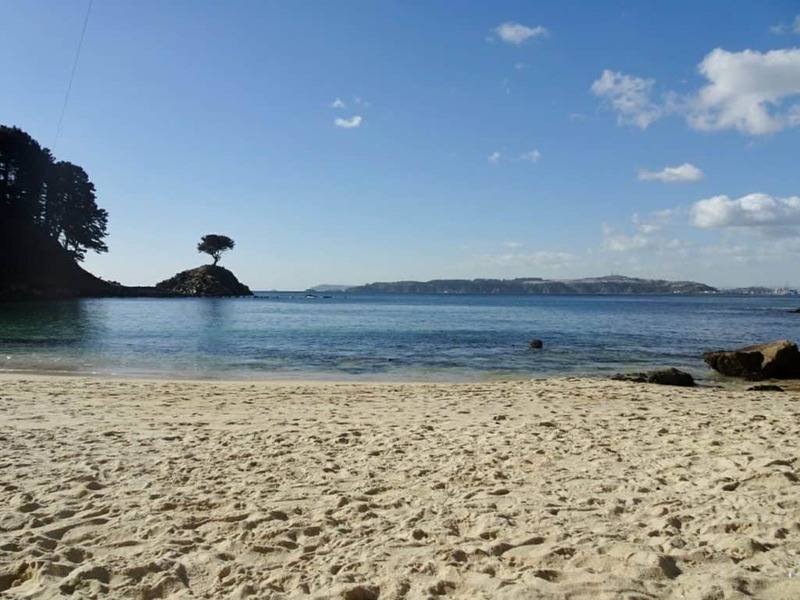 Lenga is the tiny seaside town right next to Concepcion and easily reachable with the public bus. It mainly consists of the beach promenade, with plenty of little souvenir stands and seafood restaurants, and a few houses behind that. 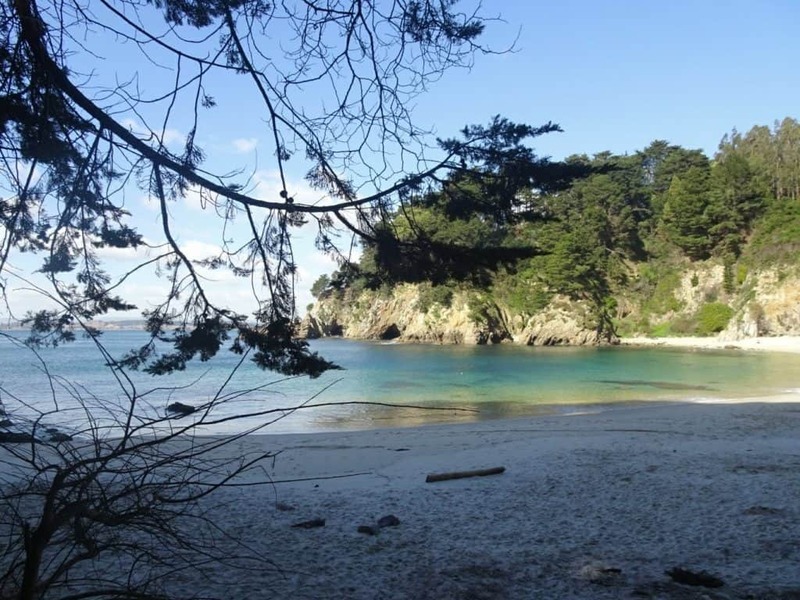 From here, take the path to Playa Ramuntcho, a beautiful little bay about three kilometres north of Lenga. It’s a very nice walk through the woods, with some lookout spots in between. I was “adopted” by an older local on the way, who seemed to feel sorry for me for being alone. He walked with me and pointed out all the most interesting spots until we got to Ramuntcho. The beach itself looks like taken right out of a postcard. Probably my favourite location in the Concepcion area! 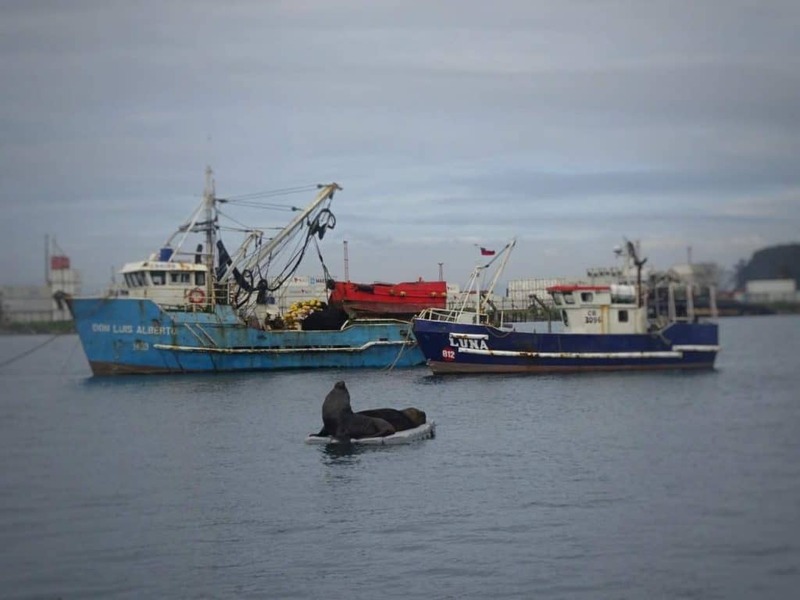 Another fun activity for a day out is a visit to Talcahuano. Again, it’s easily reachable by bus. The small town on the sea has a nice little waterfront walk and harbour. 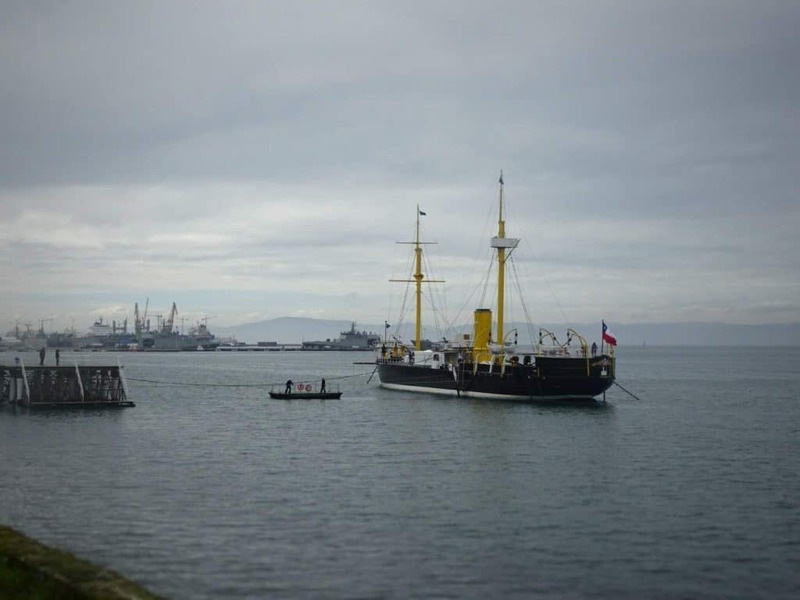 Most importantly, you find the Huáscar here, a ship museum. The Huáscar came to fame during the Pacific War between Chile, Bolivia and Peru, when it was part of a famous battle. For a small entrance fee, you get shipped over to what is now a floating museum. While visiting its interior, you get all the information on the ship’s history, crew and technical details. I’m sure there’s still a lot more to discover in central Chile than the few places I covered here, it’s such a diverse country. But if this article convinced you to build in a few extra stops when heading from Santiago to Patagonia, I’ll regard my mission as accomplished. 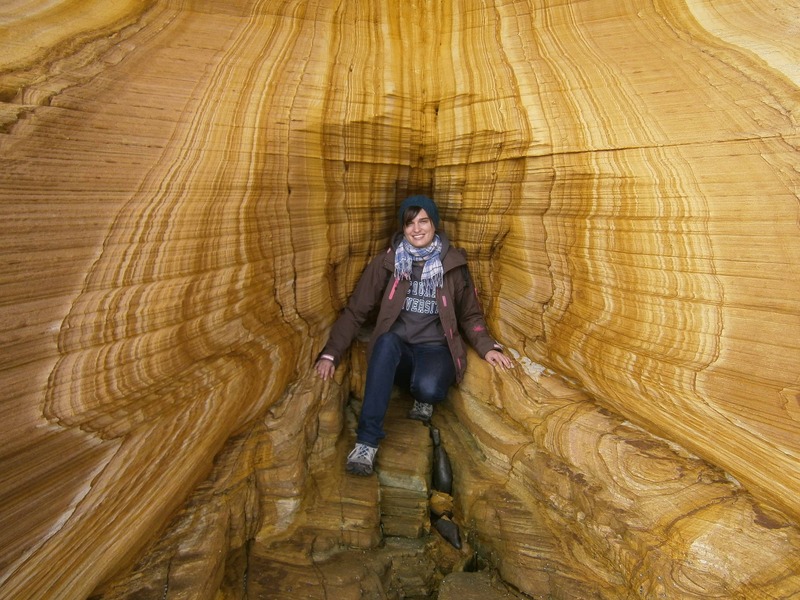 Have you visited any lesser known places in central Chile? Which did you like the most? Share in the comments!